Understanding how to calculate repair costs over the course of a rehab deal is instrumental in the success of today’s investors. 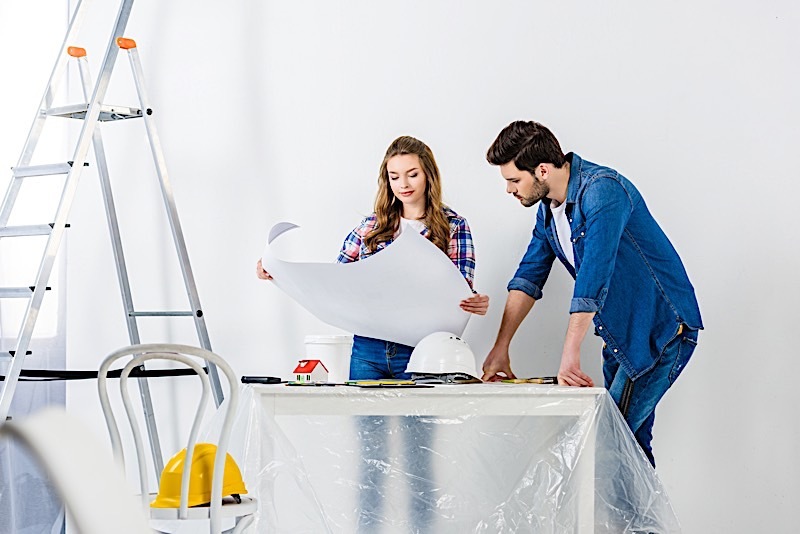 Few skills exhibited by real estate entrepreneurs are capable of tipping the scales in their favor more so than an inherent ability to accurately calculate the repairs on an impending deal. That said, proper calculations are never as simple as plugging a few numbers into a calculator. Calculating repair costs has more to do with the foundational concepts of rehabbing than the actual numbers. After all, you need to know which issues need to be addressed before any calculations can be made. That’s not to say the costs associated with repairs aren’t important (they obviously are), but rather that it’s more important to be able to identify each individual repair and its most efficient, economical solution. If for nothing else, knowing how to calculate repair costs won’t do anyone any good if the wrong repairs are accounted for. A good investor must, first and foremost, be able to identify the necessary repairs and their most cost effective solutions. Then, and only then, can they honestly say they know how to calculate repair costs. What Are Repair Costs In Real Estate & Why Should I Care? As their name suggests, repair costs are the expenses investors are saddled with over the course of a rehab deal. More specifically, repair costs will typically refer to the expenses incurred as an investor attempts to return an asset back to its original condition. The money spent on refurbishing a kitchen, for example, may be classified as a repair costs; the same can be said about the money spent on every other repair, from knocking down walls to updating shower fixtures. Simply put, any money spent on restoring a home to its original glory, or even better, is a repair cost. It is worth noting, however, that repair costs represent a lot more than an expensive bill; they are a pivotal indicator used to suggest whether or not a deal is worth pursuing. Repair costs are nothing if not a fine line that must be walked diligently. Investors need to know how to calculate repair costs if they are to know exactly what they are getting into. Not only that, but they need to do so with the slightest margin of error, too. Paint: No rehab is complete without a new coat of paint. Be sure to account for interior paint when calculating your own repairs. Flooring: It is almost always a good idea to budget for flooring when conducting a rehab, as its perceived value is almost unmatched. Kitchen: Includes cabinets, countertops, backsplash, plumbing, electrical, sink, garbage disposal, faucet and additional amenities. Remember, kitchens sell rehabs, so make sure to pay special considerations to this room and all of its costs. Appliances: While they may sound like more of an addition, appliances may be included in your rehab costs. Like everything else on this list, appliances will go a long way in creating value, so they are well worth budgeting for. Bathroom: Like their kitchen counterparts, bathrooms help sell homes, just to a lesser extent. Nonetheless, bathrooms will come with a lot of costs that are worth your while. Framing: A lot of rehabs will benefit from having a few walls knocked down. More importantly, you should budget to have a few walls demoed if it can increase the aesthetic appeal of your home. Insulation: Wall, floor and attic insulation should all be factored into your rehab budget as an expected cost. Walls: Drywall, patchwork, tape, drywall mud and remove popcorn ceilings. Doors And Trim: Plan to spend money on new doors and their corresponding hardware, as they will have a dramatic impact on the feel of your home. Again, this list is by no means comprehensive and only represents a small portion of the costs today’s investors can expect to incur on a rehab. However, it’s my professional opinion that the items on this list are the most common. Roof: If the roof needs repairs, there’s no reason not to do them yourself. It will cost extra, but I assure you it’ll be worth it when it comes time to sell. Gutters: Often overlooked, rain gutters are important, and should therefore be included in your own rehab costs. Siding: Fix the siding or replace it. Either way, the curb appeal needs to capture the attention of prospective buyers. Masonry: Any exposed brick or masonry work needs to look good enough to make people want to inquire further. Painting: Like the interior paint, no home should be flipped without a fresh coat of paint––few costs are more worthwhile. Windows: Replace windows if need be; they will make a huge difference in the final product. Garage: Don’t forget to account for finishing the garage and the garage door. Landscaping: A home’s landscaping is often the first thing people see, so you’ll want to make a good impression. Concrete And Asphalt: Makes sure cracks in the foundation aren’t apparent or serious, and account for the costs to fix them. Wooden Amenities: Fences and pergolas are often neglected by homeowners, and should therefore be addressed by rehabbers if the situation calls for it. Septic: Not all homes have septic systems, but make sure yours is operational and ready for a new homeowner. Pool: Pools can be tricky. If you are going to keep it, make sure it is a selling point and not an eyesore. If you aren’t going to keep it, you need to account for filling it in. What Is The 70% Rule In Real Estate? The 70% rule refers to the amount an investor should pay to acquire a rehab deal. More specifically, however, the 70% rule states that investors should pay approximately 70% of the home’s after repair value (ARV). The ARV is how much the home would be worth if it were restored to the same condition as the comparables. That said, the 70% rule is incomplete without the rehab repairs we have already discussed. Specifically, the rehab costs are to be subtracted from 70% of the ARV. In other words, investors should look to acquire a deal for 70% of its ARV, minus the amount they expect to spend on rehab costs. Therein lies the importance of an accurate rehab costs estimator. Understanding how to calculate repair costs can help investors determine whether or not a deal is worth pursuing. Learn From A Knowledgeable Investor: There is absolutely no reason to reinvent the wheel. Investors have been estimating repairs successful for years, and there’s no reason you can’t learn from those that have come before you; in fact, I highly recommend enlisting the help of someone that knows what they are doing. Find someone that has estimated repairs in your area with a high degree of success and ask for their assistance. Proper mentorship can go a long way while simultaneously saving you from making mistakes and spending money needlessly. Take Diligent Notes: In the event you are able to persuade someone to help you, proceed to take incredibly detailed notes. It would be unfair to expect them to help you with every rehab you intend to complete, so make sure your notes are good enough to guide you through the next deal you acquire. Develop A System: There is absolutely no reason you can’t replicate a system for each and every rehab you take on. In fact, I recommend building off of every rehab that comes your way. Take what worked form the previous rehab and apply it to your next one. Did you have luck shopping at a certain store, or even buying a certain product? If it worked on a previous rehab, there’s reason to believe it’ll work again, perhaps even saving you time and money. As I already alluded to, knowing how to calculate repair costs is a lot more involved than plugging a few numbers into a calculator. To accurately estimate repair costs, you’ll need to know what amenities need fixing, and where to find the best materials and labor. However, once you are confident you can estimate your own repairs, you’ll have access to one of the most valuable tools in an investor’s arsenal. Understanding how to calculate repair costs is a necessary skill for today’s investors to exhibit. Calculating repair costs is instrumental in determining whether or not a home is worth purchasing. A proper rehab cost estimator will account for any and all expenses on a job site.